" Ask and it will be given to you; seek and you will find; knock and the door will be opened to you. For everyone who asks receives; he who seeks find; and to him who knocks, the door will be opened." Let's pray that God to give us compassion for lost souls and the desire to evangelise and share His love. Pray that we would always desire to be more like God. 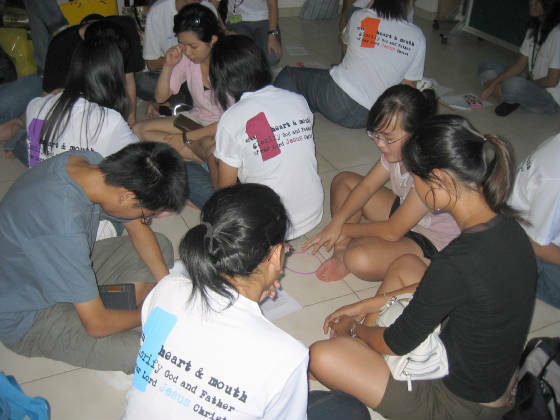 Pray that we would have the desire to pray for YWAV and for each other. Pray for those in the "What the Bible says" research that it would be a good time of learning and experiencing God. Pray for those going overseas, for safety and good time with family & friends. They would be excited for the camp. They would have a teachable heart that anticipates great things that God would do and readiness to respond. The camp would be a good time of bonding and fellowship with each other & God. Irregular YWAVers would feel welcomed and we would also make every effort to be hospitable. Pray for all aspects of the preparation: message, worship, games, logistics & registration). Pray that God would open our friends' hearts and grant us the opportunity to invite our friends and sow seeds in their hearts. God will provide musicians to play on that day. Good rehearsals & co-ordination so they can effectively lead people into worship and use music to touch the hearts of worshippers and non-christians alike. Most of all, let us pray that God would be the centre and foundation of all activities!